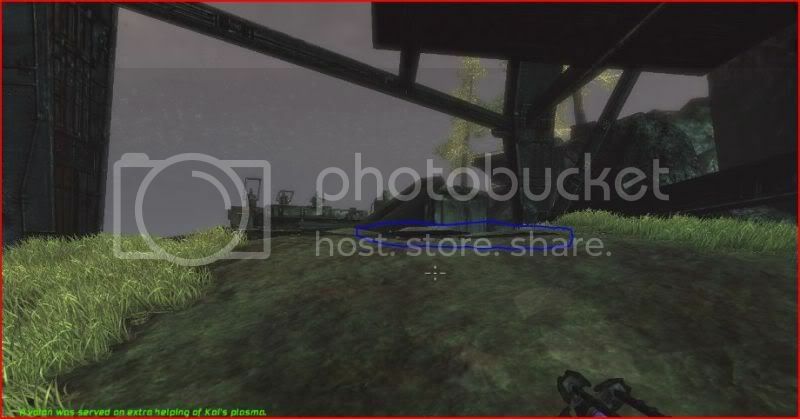 Description:A Large Deathmatch map with lots of jump pads, sniper zones, and teleporters. Great for teams! Comments:This is only my second map that I have completed that's actually playable so I'm still learning. Also I had one error which I think is with the terrain and it would not let me cook the map, but it still seems to play fine despite the error. If anyone knows how to fix it let me know. Credits:Epic games for making the most awesome game engine and level editor ever! The map file is corrupt & shouldn't the ini have the same name? Ah ****, thanks for letting me know. I wonder how many people downloaded and tried to play it>_< I'll fix it tommorow. Ok, I reuploaded the map with the correct .ini file and I have downloaded it and played the downloaded map myself, and it works on my machine so it should be fine now. Thank you Any suggestions for improvements for the next map I make? the water sounds are too powerfull and have too large radius; in some place u hear the water and u cant see it. 2) The large river at the bottom does have a post volume effect, but I felt that the little lake up top was so shallow(It was like 2 - 4 feet deep) it kinda wouldn't make sense to have a post volume effect. But now that I think about it I guess I was wrong on that. Oh well. 3) I know the sound effects are wierd in some places, that was the last thing I did and I kind of rushed it. 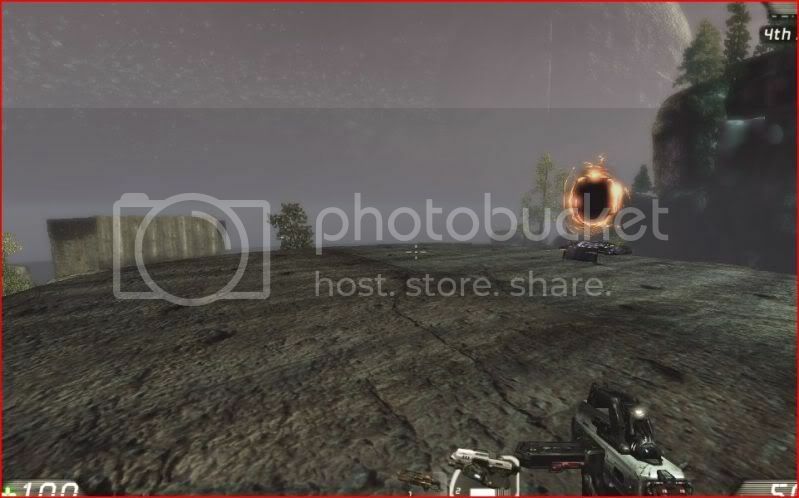 4) "i was surprised to not have found a sniper at the top of the map , close to (or facing) the portal"
Added it to ut3.game-maps.net database now. Nice map, expect it hosted on our New Maps Only DM server soon. While the map doesn't really suit my tastes for game play, I can see you put the effort into it. There are numerous fixes you can make to the map to make it run better (which is the one place it needs improving). 1. You should "erase" any terrain that the player will never see by using the visibility tool in the terrain editor. a. It doesn't look right when the grass is appearing as you move. b. 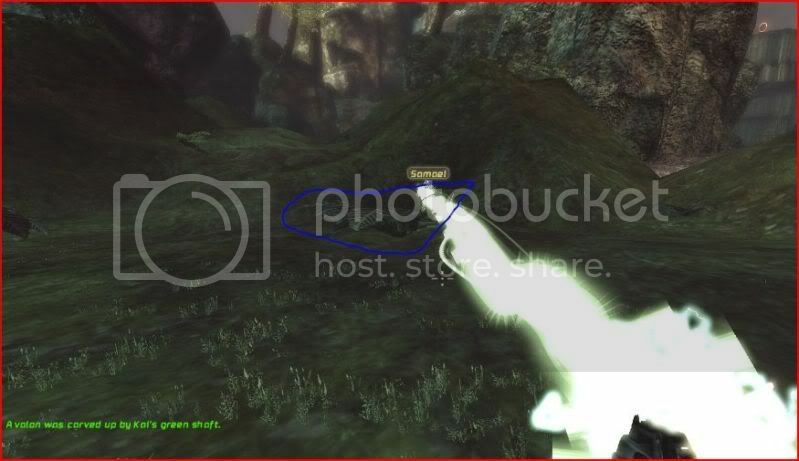 When the grass is angled and sticking out of the terrain, that doesn't help the player believe that they are in a world. I just reminds them they are playing a game. c Additional grass is possibly being rendered in places the player can't see. I don't know if the engine is actually rendering them, but there are many places in the map that have a sudden drop in frame rates. 3. Most, if not all of your teleporter "windows" (don't know what else to call them) didn't display correctly. 4. Keep in mind that if the engine can see any part of a static mesh, it renderes the entire thing. There are many rock meshes that you can only see part of, but are really designed to be in the middle of a map. Ideally, you should be using the rocks that only have about half of it modeled. 5. Speedtrees take up more processing power to animate them, so use them sparingly. In a map as wide open as this, there is a greater chance that a lot of the map will be viewed at a given time. Because of this, you have to be careful not to have too much being rendered. 6. There was one area that didn't have a water volume under the water mesh, it was a bit odd to see bots (and myself) walking, instead of swimming. 7. There are a few places that you can see into the static mesh. If a part of the static mesh isn't modeled, the player should never be able to see that part. 8. There are some places where you can go into the water and swim, but other places you die. It should be very clear to the player where they can and can't go. Look in the UN_Team package for some with arrows. 10. When ever you have a redeemer in your map (if it's an outdoor map), you should place blocking volumes around your map so a player can't "drive" the redeemer outside the playable area. This will also prohibit players from spectating outside of it as well. Thanks for all the feedback guys, this really helps alot. When I actually figured out how make foilage and speed trees I kinda went nuts with it haha... but I wanted a very lush environment that was completely overgrown and felt like it had been abandoned for years. I'm not sure what you mean by "Most, if not all of your teleporter "windows" (don't know what else to call them) didn't display correctly." Can you post a screenshot of what its doing? As for the rest, I'm not going to update this map anymore(Maybe someday I'll get back to it) but I'm keeping all this stuff in mind for my new map I'm working on which should be much better. Stromboli, unofortunately the map has some kind of an error and won't cook properly which is probably another reason it has performance issues but I honestly have no idea how to fix it. The portal window doesn't show the other side, but acts more like a tinted window. Depending on the angle, sometimes it looks pitch black. That makes sense. Mapping is a process that goes beyond just a single map.